stone and tile never looked better. We resolve problems on your natural stone, tile & grout surfaces. From restoring the shine to a dull marble floor to removing lippage that is making your floors uneven, deep cleaning and sealing your tile & grout, or color enhancing your travertine, you can trust Stone Makeover to deliver results. The great thing about natural stone is that if it has become damaged, there is no need to replace it. Don't replace, restore. We can restore your marble, travertine, limestone, granite, terrazzo and all other natural stone floors to like new, and apply sealers to help protect the surface from stains and other damage. Want to change the finish? We can alter the finish from a high polish to a softer, more subtle satin patina or take a matte finish floor and bring it to a high polish. 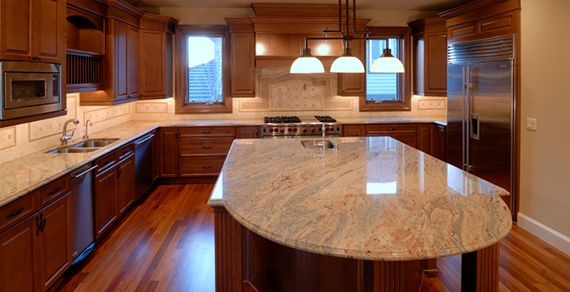 Countertops that have become dull, scratched or chipped can also be restored to like new. Contact us to schedule periodic cleaning and sealing, or if you are in need of countertop repair and restoration services. We can deep clean your tile and grout, then seal the grout lines to keep them looking great and make follow up cleaning so much easier. Be sure to learn more about our grout color sealing services. It is all the rage... for good reason. Cleaning and restoring the stone and tile in bathrooms is one of our most frequently requested services. If the stone and tile in your bathroom needs some TLC, the technicians at Stone Makeoever can make them shine and smell as fresh as installation day. 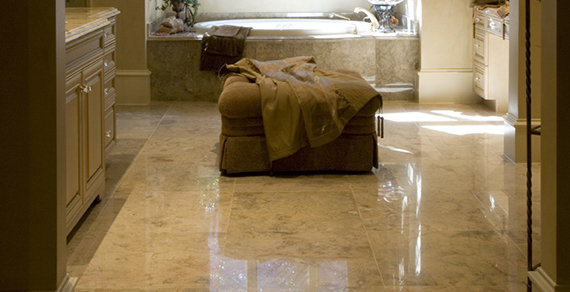 We can polish your marble floors, clean and seal your showers and polish your vanity tops. Tile and grout floors? We can deep clean then seal the grout lines, so your floors look like a new. We can even change the grout color with our Color Sealing service. Contact us online or call us today at (800) 661-7866 for your natural stone, tile and grout floor and surface care throughout your home or business. We'd be proud to serve you.